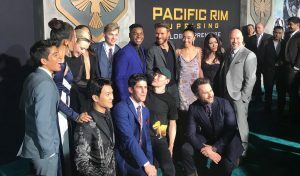 The cast shot on the red carpet of PACIFIC RIM UPRISING global premiere held at the TCL Chinese Theatre in Hollywood, CA on Wednesday, March 21, 2018. ©Asian Cinema Entertainment. CR: Scott Eriksson. John Boyega being interviewed during the global premiere of PACIFIC RIM UPRISING held at the TCL Chinese Theatre in Hollywood, CA on Wednesday, March 21, 2018. 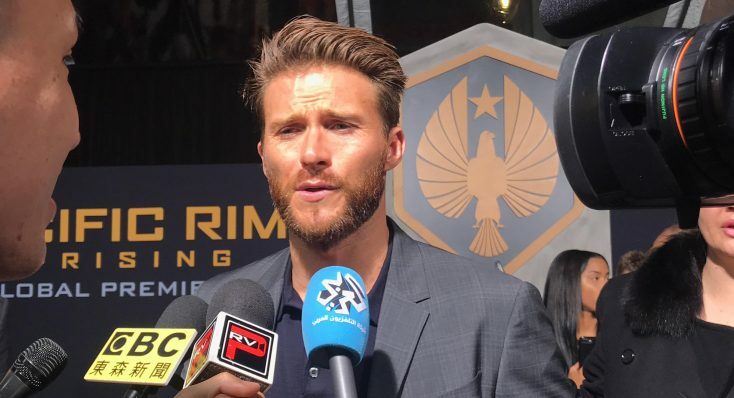 ©Pacific Rim Video/Front Row Features. CR: Peterson Gonzaga. Scott Eastwood being interviewed during the global premiere of PACIFIC RIM UPRISING held at the TCL Chinese Theatre in Hollywood, CA on Wednesday, March 21, 2018. ©Pacific Rim Video/Front Row Features. CR: Peterson Gonzaga. Photos: ‘Mummy,’ ‘Decline and Fall,’ ‘Rake’ and More on Home Entertainment … plus giveaways!! !